I have foolishly been paying for a payment protection plan for my Chase credit card. I am now unemployed. Should I use the payment protection service? If I do, Chase will suspend principal, interest and payment protection plan charges for 2 years. Meanwhile credit bureaus will reflect a static balance, and it will be obvious I'm not paying down my credit card. I figure if my creditors sense I'm having problems, that detriment will be worse than the benefit of suspended payments. So far, I'm able to make the minimum payments. I've decided if I don't use the payment protection plan, I will definitely discontinue it. My balance is $8500 and the monthly charge is $0.89 on the dollar of outstandings, like $75/mo. being added to my principal. By the way, Chase also has my 1st mortgage on my house, in which I have equity. Examine how a payment protection plan can help you if you become unemployed or disabled. Understand that the costs are high for a payment protection plan. Make sure to use the benefits you pay for, if you become eligible to claim them. The terms vary, but most payment protection plans pay either a portion or all of the outstanding account balance or monthly payment amount for a loan, line of credit, or credit card in the event of death, disability, job loss, or some other specified covered event. Think of a payment protection plan as a form of insurance -- if you are lucky you never need it then buying the insurance was a bad gamble. However, if you need the insurance then buying the policy was a smart bet. In general, payment protection plans are expensive for the value offered. Consequently I recommend consumers analyze and understand the complete cost of a payment protection plan before buying one. In most cases it would be smarter to spend the money on paying down the balance sooner or taking the money that would have gone into the payment protection plan and depositing it into a savings account. Chase calls its program "The Chase Payment Protector Plan." The Chase plan makes minimum monthly payments and waives interest for six months to two years if a consumer becomes unemployed, disabled, or is called into active military service, among other conditions. You mentioned you have been paying for a payment protection plan on a Chase credit card and are unemployed. You are concerned that if you start using the plan your other creditors will detect this and cause you some harm. I am guessing you fear the other creditors will increase your interest rates or decrease your available credit limit. You also wrote, "So far, I'm able to make the minimum payments," which suggests to me you fear you will be unable to make the minimum payments in the future. At this point, you are making minimum payments and are getting charged interest on your $8,500 balance. By invoking the payment protection plan the payments will continue at the same minimum level you are paying now, but interest charges will be suspended. Should you start using the payment protection plan? That is up to you to decide. I have no insights into your savings and overall cash burn rate, your other credit cards and their balances, your profession, and prospects for a job. If you are a wealthy individual, have a low cash burn rate, and excellent career prospects, then invoking the Chase payment protection plan is a bad idea. However, if you are not wealthy, are burning cash at a frightening rate, and face a tough job market I think your choice is very clear. I have credit card protection on all of my cards except American Express. Recently I attempted to enroll in the Amex Account Protection Program 1-800-293-8154 and I was told that they are no longer taking any applications. When I queried the representative as to why she said she had no idea. This makes no sense to me. Are there any independent credit card insurance policies out there that I can use to enroll my Amex card? None that I know of, and if there were any I would not recommend them. If you run the numbers, the fees one pays for credit card insurance would be better spent paying down the principal. My husband has about 13 credit cards (personal and business in his name only). He has paid for payment protection on many of them. He recently became disabled and receives SSD. If he uses his PPP on the cards that have it, will his other card companies cancel him or reduce his credit? There is nothing I found in the Credit CARD Act of 2009, or elsewhere in the Truth in Lending Act, that prevents credit card issuers to do what you described in your message. The question of whether other credit card issuers will cancel or slash his credit limit is unknown to me. Readers, if you have any experience with other credit card issuers taking an action if you use a payment protection plan, could you share it below? hi - does activating a payment protection plan cause an adverse effect on a credit rating? i see you mentioning that enrolling with a CCCS can but that's not the same thing as using this, correct? Activating a payment protection plan does not harm your credit rating. You have to make your minimum monthly payments to your creditors, to preserve your credit rating and avoid derogatory information appearing on your credit report. 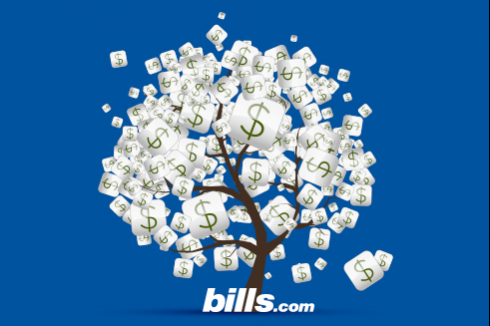 Find out how much of each bill your plan covers, making sure to meet the required minimums, if the payment protection plan contribution does not meet the requirements on its own. I have been paying 28.00 a month for there Protection insurance on my HELCO CHase Loan for 3 yrs now. and I am very concerned on what I am reading.. If I was to get hurt or unemployed are you telling me THEY WILL NOT Pay my monthly payments?? And can you tell me what claim you put in for and what reasons did they deny you??? Need all the info you can give me .. before I call them up!! I need amo.. Thank YOU Really..